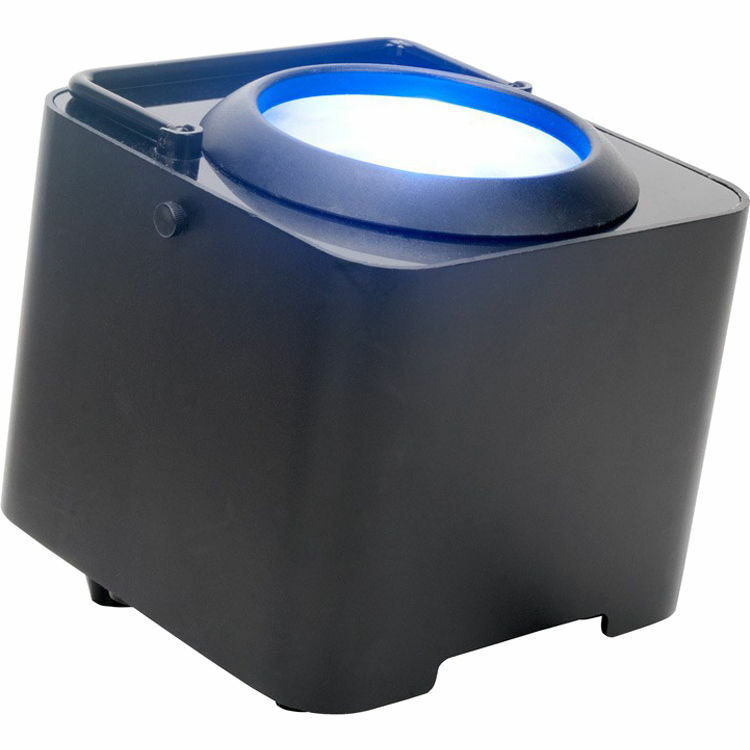 The WiFLY EXR Dotz Par from American DJ is a battery-powered, wireless DMX fixture that features a 36W Tri-COB (Chip-On-Board) LED for smooth RGB color mixing without RGB shadows. The built-in WiFLY EXR wireless DMX is capable of receiving signals from up to 2,500' (760m) when used with ADJ's WiFLY EXR transceiver (available separately). When fully charged, the unit can operate at full on for up to 8 hours. This fixture offers flicker-free operation, 0-100% electronic dimming, 32 built-in color macros, five DMX channel modes, and seven operational modes. It offers a beam angle of 66° with the lens and 20° without the lens. The WiFLY EXR Dotz Par fixture is especially useful for mobile productions, eliminating the need to run DMX or power cables, but it is also suitable for theaters, concert venues, or any situation where wireless lighting is desired. It can be used as a standalone unit or in a master/slave configuration. The IEC in/out power connectors, 3-pin DMX in/out connectors, and antenna are all recessed beneath the unit for neater cable management. The fixture supports power linking for 10 units at 110V and 18 units at 240V. Rubber feet provide grip when set on the ground, while a built-in kickstand allows manual angle adjustments.